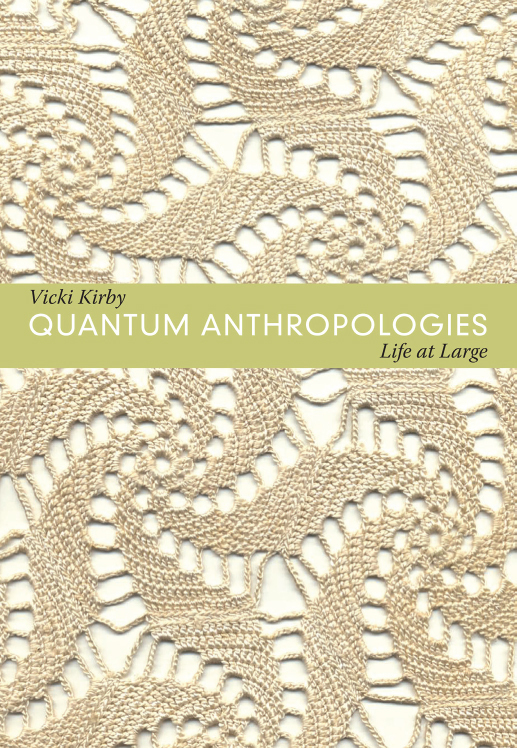 In Quantum Anthropologies, the renowned feminist theorist Vicki Kirby contends that some of the most provocative aspects of deconstruction have yet to be explored. Deconstruction’s implications have been curtailed by the assumption that issues of textuality and representation are specific to the domain of culture. Revisiting Derrida’s claim that there is “no outside of text,” Kirby argues that theories of cultural construction developed since the linguistic turn have inadvertently reproduced the very binaries they intended to question, such as those between nature and culture, matter and ideation, and fact and value. Through new readings of Derrida, Husserl, Saussure, Butler, Irigaray, and Merleau-Ponty, Kirby exposes the limitations of theories that regard culture as a secondorder system that cannot access—much less be—nature, body, and materiality. She suggests ways of reconceiving language and culture to enable a more materially implicated outcome, one that keeps alive the more counterintuitive and challenging aspects of poststructural criticism. By demonstrating how fields, including cybernetics, biology, forensics, mathematics, and physics, can be conceptualized in deconstructive terms, Kirby fundamentally rethinks deconstruction and its relevance to nature, embodiment, materialism, and science.